Zinnia is by definition a beautiful flower. 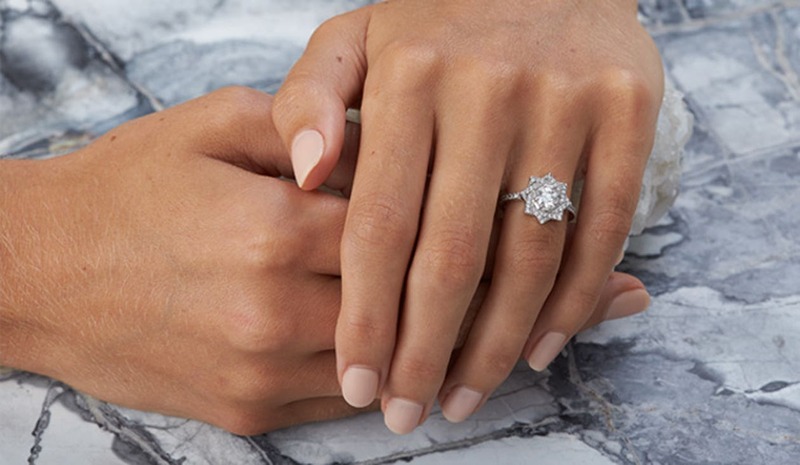 The layers of soft petals inspired the fluid, folding shapes of this engagement ring. Shown in Platinum, with a centre diamond of 0.65cts. Round Brilliant Cut, E Colour, VS2 Clarity, 44 grain set diamonds 0.32 total weight. The central diamond is surrounded by a woven border of pavé set diamonds which flow into the band around the finger. An elegant, self assured statement piece with echoes of classic art deco design.